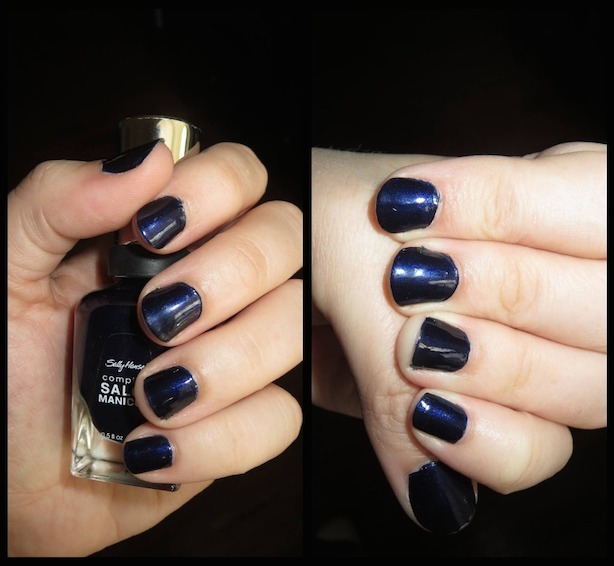 It's Just Another Manicure Monday…Navy Baby! 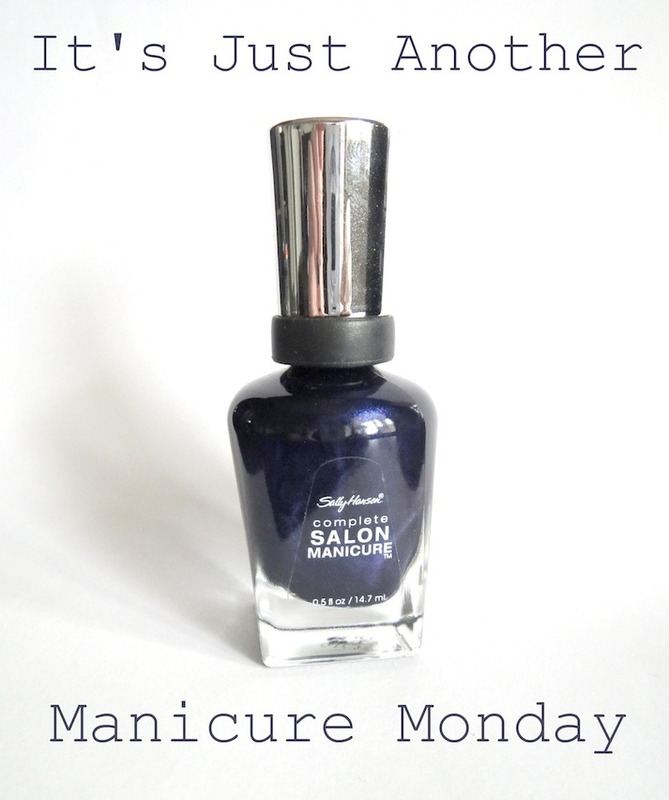 Who’s excited for another Manicure Monday? I kept the brand the same but went on the opposite end of the color spectrum from Naked Ambition! 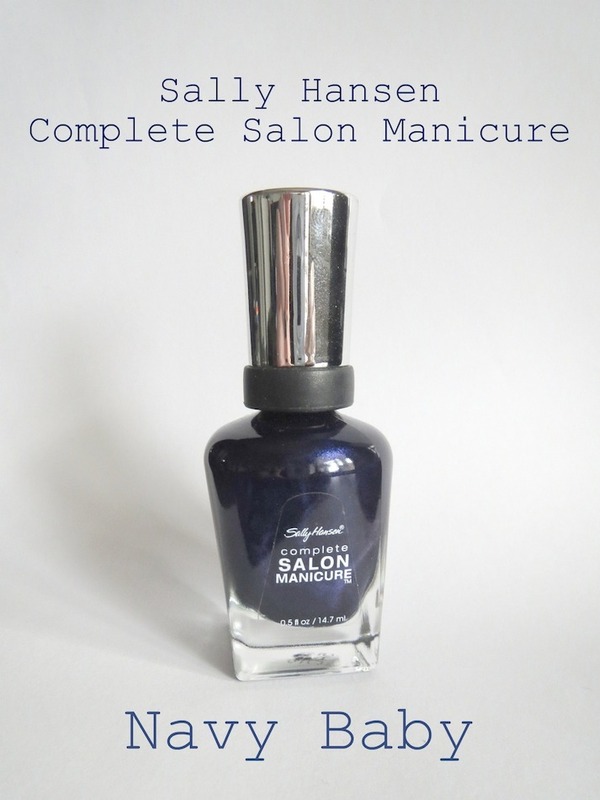 This week I’m rocking Sally Hansen’s Complete Salon Manicure in Navy Baby. I tried to capture what a pretty navy this is in person. It’s a very rich color with just a hint of shimmer. I have on 2 coats, but the coverage was plenty with just 1! 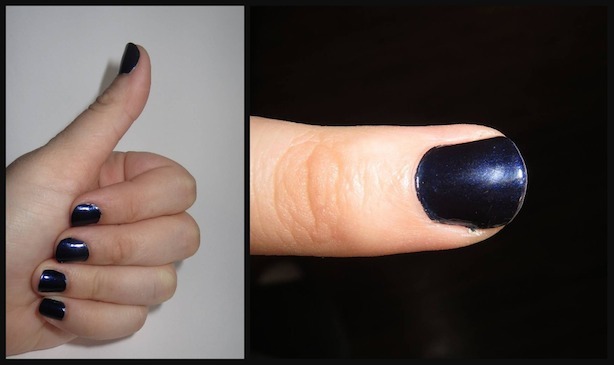 I feel like that’s rare in a lot of polishes, so it’s definitely something to be noted. It isn’t super shiny on its own, but I did add a top coat. As I mentioned in my other post, Sally Hansen Complete Salon Manicure polishes have a wide brush for easy application, beautiful colors, and last forever. I think it’s supposed to simulate a base coat, color, and top coat in one. It delivers! that’s a very classy colour!! !! Thanks! I agree! 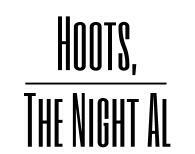 It’s one of my faves! I’m so wanting to try out Sally Hansen, that shade is really beautiful. I say go for it! Their polishes are so pretty and super easy to apply!